In 1843 Stephen Howard from Limerick was transported to Van Diemen's Land for stealing a gun from a landowner. All the evidence suggests it was a politcally motivated act, and that Stephen Howard was involved with the rebel Whiteboy movement. In 1849 Ellen Lydon of North Galway was similarly transported, along with other members of her family, for killing a sheep with intent to steal during the Great Famine in Ireland. 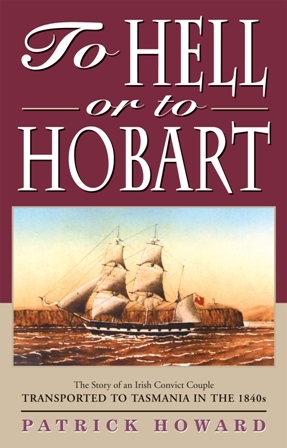 The two met in Hobart Town, where they married in 1854. The author is their great-grandson.